Wow–either someone cast engorgio on a dementor (and who in their right mind would do that?) 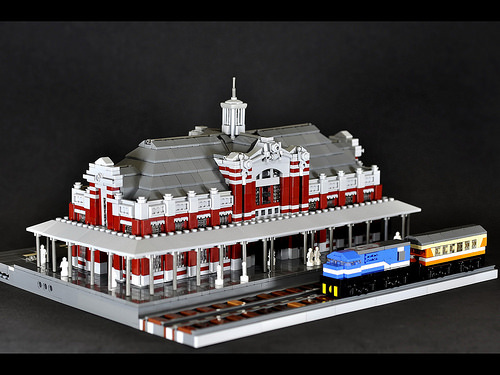 or diminuendo on Hogwarts castle. 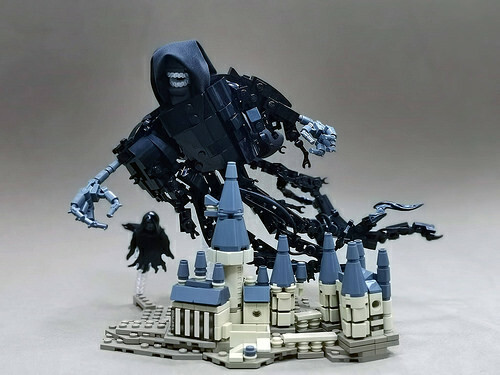 Whatever happened, this brick-built dementor by Maxime Cheng hovering menacingly over Hogwarts is magical. Special recognition goes to the dementor’s mouth, made from two collars from the William Shakespeare collectible minifig. The sculpted body and the streams of tattered cloak give this model a very sinister appearance. The school grounds and building are also very nicely detailed at this scale.